Flooring SolutionsA leading resource for non-toxic, safe and environmentally friendly flooring systems, we offer turnkey installations using only in-house personnel. Industry Case StudiesReview case studies of our quality work across a number of industries and diverse conditions. LocationsWe service areas all over the United States. Please contact us for more information or to get a free quote. BlogStay up to date by read the latest news and get the latest information from Surface Solutions, Inc. via our blog. CareersSurface Solutions, Inc. are looking for hard working, competent individuals to join our ever growing work force. Single source WarrantyMaintaining a single source warranty can help alleviate the workload for our customers. Surface PreparationThere are a number of factors when determining the type of surface preparation required for the installation of an industrial floor coating. InstallationProper installation is equally important as the type of resinous flooring system being installed. Concrete TestingSurface Solutions offers complete concrete testing to determine what elements can lead to the failure of industrial flooring surfaces. More breweries, microbreweries and wineries are choosing concrete flooring and wall systems because of high performance and design versatility. 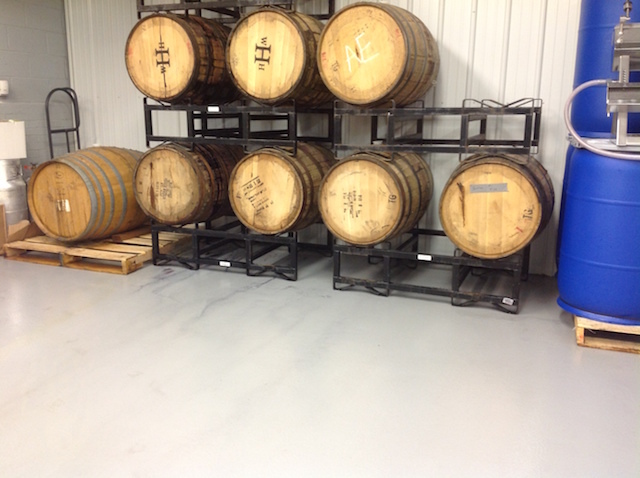 Breweries are constantly exposed to the caustic chemicals and thermal shock of the fermentation process, while in a tasting room that is open to the public, the appearance of the floor is as important as its durability. Surface Solutions specializes in flooring and wall systems for the food and beverage industry including breweries, which are easier to keep clean than tile and other flooring materials that have grout lines to trap dirt and bacteria. Surface Solutions offers a full line of USDA- and FDA-approved flooring options that are extremely durable and also stand up to extreme temperatures. When you work with Surface Solutions, you can expect an unprecedented level of service in troubleshooting, planning and installing the right flooring system for your facility. With over 60 years of experience, we have the proven knowledge and expertise to recommend a full line of flooring options, including limitless choices in colors, textures, styles and applications. These recently completed projects illustrate our quality service delivering durable, long-lasting and aesthetically-pleasing floors that exceed customers’ expectations. Contact Surface Solutions today for more information on our complete line of industrial flooring systems. Does My Brewery Need Surface Solutions, Inc.?